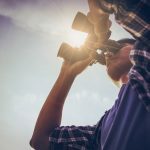 Making sure your food cold is important when camping because if it goes bad it’s wasted or you risk giving yourself food poisoning – one way to really ruin a camping trip. 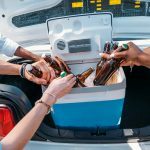 While a great esky will do a good job of keeping your food cold, it is still worth being smart about how you do it. 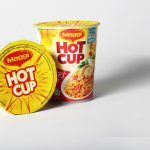 Generally speaking, you don’t want to have too many foods that you need to keep cold for a long time unless you have access to ice every couple of days, at least. 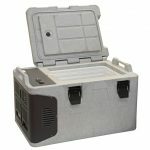 Now, even the best esky can’t keep your food frozen forever, especially if you are opening and closing the lid all the time. 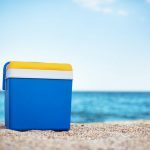 Let’s take a look at some tips to keeping food cold when you are camping other than using a portable camping fridge. This really makes sense. It’s much easier to move a smaller esky, even if there is 2 of them. You can use one for foods that you want to access once a day and the other for drinks and other foods you might want to access more often. Another mistake I often see is eskies out in the sun. Always keep your esky in the shade. It’s simply stupid to leave an esky out under the hot sun. The ice you buy from supermarkets and service stations should only be used to top up when you are camping. It’s not what you want to use when you are leaving from home. You need to be a little smarter than that, and get more value out of the space you have available. 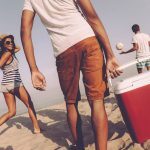 Cool your esky earlier if you can, by putting ice packs overnight before you leave. This will cool your esky for packing. Anything you can do to make the job on keeping cool is wise. The same goes for your food. Freeze it hard before putting in your esky. A bag of mince is a great block of ice. Freeze water in plastic bottles in advance. This will be refreshing water by the time it melts and you will be very happy about it. The longer you freeze it for the longer it will last. I’ve even frozen drinks for a good week before going on a camping trip. Your drink bottles will provide solid cold ice for a good few days. Place ice packs on the bottom before packing your esky with the frozen food and frozen meats at the bottom and near the ice packs. Layer the items you need most at the top. I like to use those thermal ice packs, and they’ve always done the job and they can be used over and over again. Finally, don’t leave the lid open and don’t open the lid more often than you need to. This gets back to using 2 eskys.